It’s a starry line-up as always as TIFF today announced its’ upcoming slate of Galas, which always take place at the Roy Thomson Hall, and formal dress is required, and Special Presentations, which almost always happen at the classic Elgin(pronounced “El Gin” with a hard “g”) theatre. 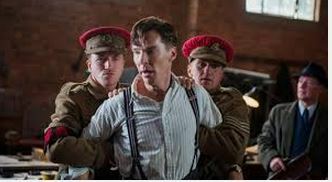 Bennett Miller’s follow-up to “Moneyball” “Foxcatcher” which is about wrestling, not baseball, and the British WWII spy film “Imitation Game” with Benedict Cumberbatch( PBS’ Sherlock Holmes to many) as the lead character who is a closeted homosexual. There are many, many films more that were announced today. Go to Sasha Stone’s invaluable Oscar site http://www.awardsdaily.com for more info. Toronto always has soooo many films, you can’t see them all. One movie I’ve already seen, today as a matter of fact, was the Dame Maggie Smith, Kristen Scott Thomas & Kevin Kline starrer “Me and My Old Lady” with Dame Maggic pulling out all the stops in yet ANOTHER tour-de-force performance that is soooo good I’m glad they are including it at TIFF. She deserves it. And so now, the Oscar Race officially begins! Could Dame Maggie surprise and make it into the Best Actress race? She certainly deserves it. She’s plays a 92-year-old English woman living in France. And I’m SOOOO glad I saw it today! Only one week left! To help fund my Kickstarter Project to Toronto! Only one week left Stephen Holt Show fans! Dear readers, dear cineastes! We need YOUR help to get to the Toronto Film Festival this year! 2014 is shaping up to be a very exciting year with great films galore at Toronto! 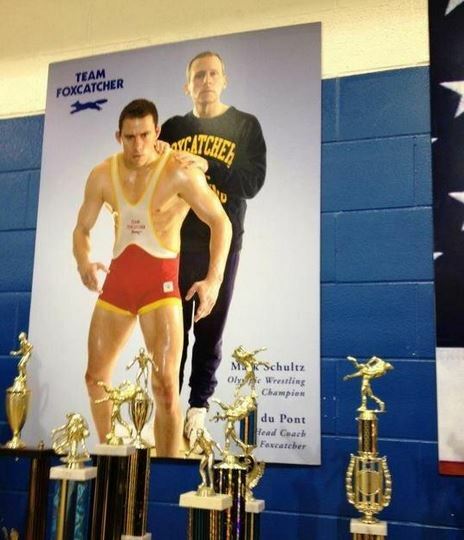 Bennett Miller’s “Foxcatcher” as I mention in the video clip, and David Cronenberg’s “Maps to the Stars” among them. I can’t tell you how crucial the Toronto International Film Festival is to my continuing coverage of all the stars that I get on the level that I get them. And the hotels adjacent to the Film Festival have raised their prices accordingly. Which is what has put me in this Kickstarter mode. And right now, if you’re reading on this far, I can tell you that so far we have received $0.00 which is just a devastating figure to have to deal with. I know you are out there, friends, Facebook-ers and fans! PLEASE HELP! Only one week left before Facebook turns off the lights! Oscar Homerun for Brad Pitts’ “Moneyball”! It made even ME like baseball! I just LOVED Brad Pitts’ “Moneyball”! And his winning, rousing, surprisingly moving performance in the great movie star tradition may garner him his third Oscar nomination, and maybe he’ll finally win Best Actor, for his terrific tour-de-force turn as real-life Oakland Athletics general manager, Billy Beane. Who evidently made history by turning his losing team around and through his statistical micro-managing, his Beane-counting, if you will, got his under – financed, underdog Oakland As to break a historic American League baseball record of winning streaks. Now I know I must be sounding like I’m a baseball fan or statistician. But I’m not. I’m definitely not. As a gay man, I was stereotypically not good at sports, and not into them at all. But there were many times in my life as a gay (or certainly gender confused) child growing up in the Bronx, where I wondered just what all the fuss was going on on the other side of my hometown borough. Recently I have seen two Oscar-seeking movies a bit late in their Oscar life. And I have been astonished to find that I liked both of them A LOT. A lot more than I ever thought I would, given their misleading advertising and pre-open trailer campaigns, if they can even be called “Campaigns.” And “Moneyball” is certainly one of them. The other being the tremendous “The Help.” But more on that surprising, haunting film later. “Moneyball” was one of the big Gala openers at Toronto this year, and though one could not ignore the fact that it was there, and that Brad and Angelina were in town, I chose to skip it. It was a sports movie. A baseball movie, at that. I never liked either genre, or sub-genre. I severely doubted that I could relate. Given my sports-deprived background. And for the first half hour or so, I didn’t know WHAT was going on with it. The baseball inside talk was so thick. What WERE they talking about? And it seemed to be statistics, statistics, nothing but baseball statistics, which is actually what the film turns out to be all about. The Oakland As are losing and Brad Pitt as Billy Beane, their now-legendary general manager, tries to figure out how to change that and break their losing streak. Baseball these days its seems, is all about money. Hence the “”Moneyball” title. He’s not phoning anything in, and “Capote” director Bennett Miller and also co-star Hoffman as the Oakland A’s frustrated and angry coach, keep Pitt as real as real can be. I’ve also never given a thought to what a baseball team’s general manager does, but by the time you finish watching “Moneyball” you’ll know that, and just about everything else about baseball these days, upside down, inside out and backwards. And you’ll know that for sure Brad Pitt is once again on his way to the Oscars, and maybe this time he’ll win! He redefines himself in a way that I thought he never could, but here, in the role of his career, he does! The only thing I was disappointed with was Jonah Hill’s rather monotonal performance as Pitt’s nerdy acounting assistant. He gets better as the film goes on, but I thought he was the only flaw in an otherwise flawless film. “Moneyball” did the impossible, made ME like, and get into baseball. So much so that I was cheering for Pitt and his underdog Oakland As and you will be, too. Now, will Oscar follow suit? Pitt will be in the running for sure. And with his other rather mold-breaking performance this year in Terence Malik’s “Tree of Life” as the stern disciplinarian ’50s dad…well, you just can’t avoid Brad Pitt’s emergence as a powerful, fascinating, Grade A actor with a Capital A.